On November 27th and 28th 2017, 80 experts from the UV industry followed the call of LASER COMPONENTS and SPECTARIS and attended the 1st International UV WORKshop in Olching near Munich. 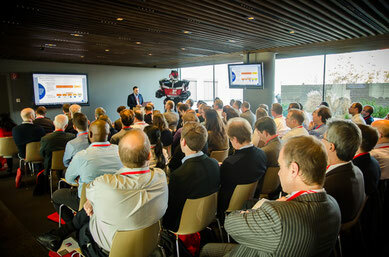 The two-day agenda focused on the latest developments in UV technology. In 40 presentations, high-profile representatives from research and manufacturing provided detailed insights into a wide range of topics. While the first day dealt with UV emission by lasers and LEDs as well as UV transmission, the second day covered the topic of detection and gave an update on applications in this spectral range. To complement their fruitful discussions, attendees were given a tour of the manufacturing facilities and saw first-hand the effort, LASER COMPONENTS’ staff put into the production of optical and optoelectronic components.